For a Car Lover like my hubby, for sure you can’t afford not to visit the “Emirates National Auto Museum (ENAM)”, an amazing Car Collection of Sheikh Hamdan bin Hamad Al Nahyan. 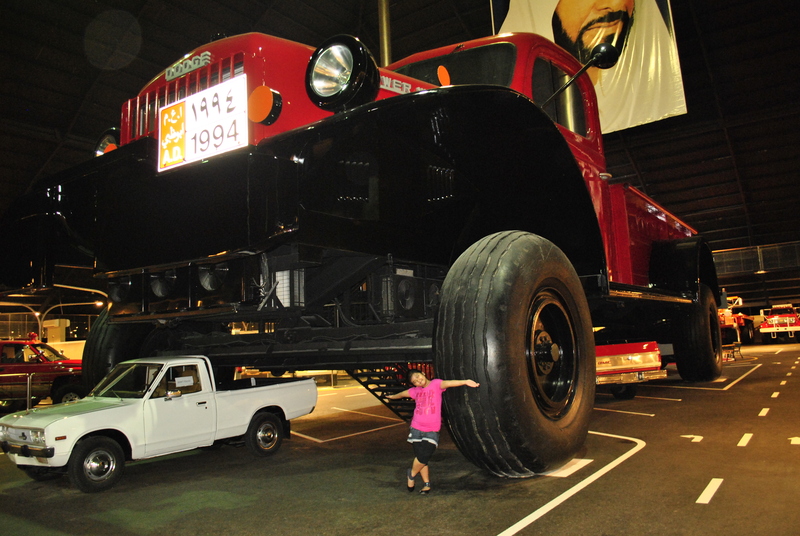 We’ve been planning to visit this museum since last year, but unfortunately you need a private car to visit the place. Thank God we now have our “KC’ to take us here :). The museum is located about one hour drive South of Abu Dhabi, Take the road toward the airport, and turn off on to the Tarif road. Turn off at Junction 306 and head towards Hameem. Pass the giant rainbow gate on the left then you can see the museum signage and the huge Land Rover. 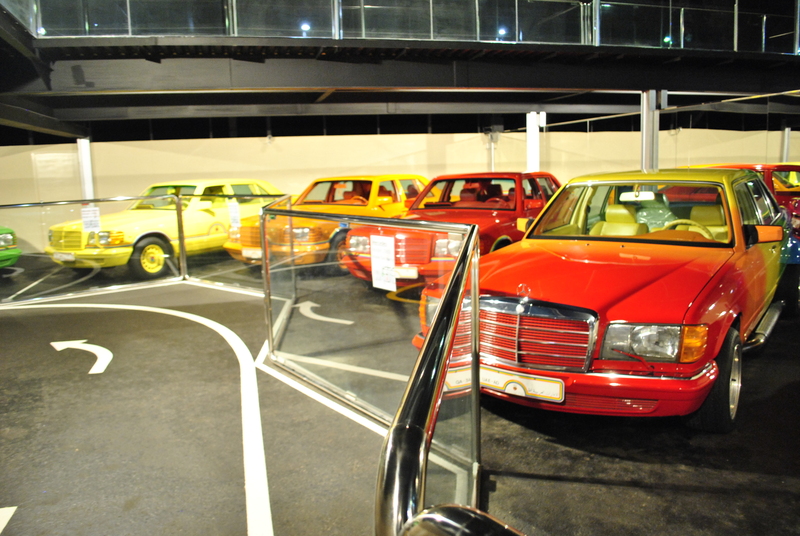 Another highlight was the Rainbow colored Mercedez Benz collection of Sheik Hamad (that’s why he called Rainbow Sheikh). It was a nice visit,we enjoyed seeing those amazing Car Collection! huwaw!! ang ganda!! at ang laki nung isa ha! !